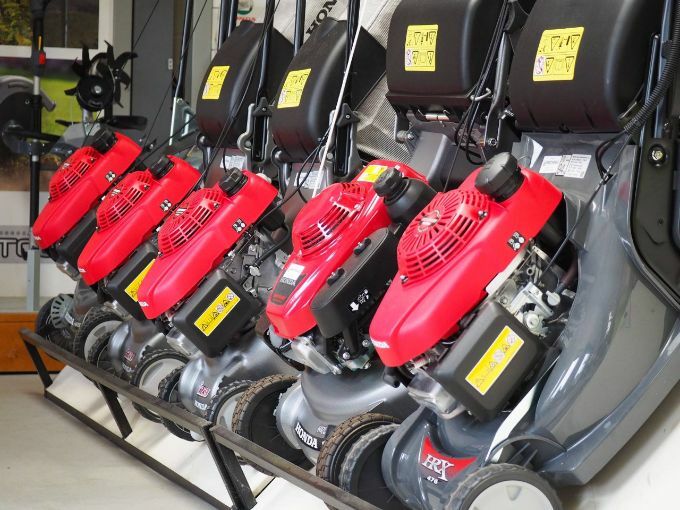 Our showroom, located alongside the A6 (between Lancaster and Garstang), boasts a large display of quality new and used ground care equipment to suit all requirements and budgets. We offer a personal and professional service to our customers along with expert advice enabling you to make the right choice of equipment with the confidence of after sales support. Every machine is assembled and is given a pre-delivery inspection on site (including oiling and fuelling) thus allowing you to start using the machine immediately. 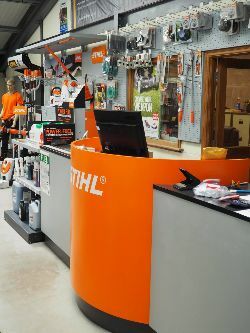 Our showroom always has stock of oils, filter kits, strimmer lines, chains etc.